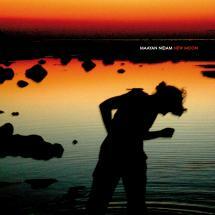 Maayan Nidam’s second album New Moon has many different levels. Stylistically, the Berlin-based producer has created an 11 track collection of alternative electronic rhythms that combines everything from blissful broken beat, to surrealist electro, jazz-influenced moments, acidic house, exploratory techno, and piano interludes. Psychologically though, there is much more going on. Clearly unfazed by constructing a bigger, more audacious picture, Nidam links her many different artist desires on this album through cyclical electronic expressionism. The album is expansive. Disparate influences and eras are joined together through a subtle interplay of contrast and tone. The beats, repetition and some occasional fruity whistle stops make the journey absorbing and multi-dimensional. Beginning with a downtempo treat called On My Street, New Moon immediately captivates you with a dreamy, sun-kissed afternoon feel. Worming its way through soft electro on Harmonious Funk (whose lyrics hint at a possible universal truth) it arrives at the quirky synthesizer jam, Trippin’ Over You, which plays out like a strange ode to chemical love. The following rolling bass-driven house of The Great Suspenders is a loose groovy bumper and perfect for those ever-so-serious after parties. Send A Pigeon then follows, and plays out like an electronic symphony of doom, with its squealing feedback and fluttery distortion evolving subtly, forever on the move. The album then takes you down another unexpected corridor with Undermine, which sees a fun, childlike melody slowly beat a warbled techno loop into submission. Sunday Sunday is its warm piano accompaniment. Disco loops, filters, delays, and a gorgeous vocal then clash on the short and sweet Lies In Love. And then, once again, we find Nidam playing with juxtaposition. She throws the impending unease of Last Moon, its warped vocals and twisted syncopated beats, together with the beautiful drifting electronica of Boastful. The track is hard to pin down - it manages to sound both like vintage pop and futurist electronica at the same time. Finally, Never Forever ends the album on a high note with perhaps a hint or an amalgamation of the album’s base ideals: freedom, truth, and the cyclical nature of change. Ultimately, New Moon’s wide variety of sounds can be directly traced back to Nidam’s disjointed discography. As Miss Fitz, her sleazy hypnotic dance music has touched great European labels like Freak’n’Chic, Contexterrior and Circus Company, and she has also released reductionist woozy house as Laverne Radix on Oslo, its sub-label Love Letters From Oslo and Raum…Musik. It is under her birth name Maayan Nidam however, that she has arguably experimented the most, with releases on such diverse labels as Perlon, Powershovel Audio (who released Nidam’s debut album Night Long in 2009), and Wolf + Lamb.